Salesforce Einstein data help here!! Most companies have what I call “data issues” when it comes to analyzing and using the information they have at hand. For instance, think about what a headache it can be to migrate your data from wherever it is today to a system like salesforce.com. It’s not easy! I can help you understand and address these challenges—that's why I call it “Therapy.” It’s a process, and when we follow the process, it works! If you talk to a consultant, about anything, and they cannot SIMPLY explain it in a way that makes sense to you, then it is very likely the person does not really understand what you need to have done. For instance, the FIRST thing I do is understand what the problem is and where you want to go. We look at your data to verify what is going on. Duplicate definition....well, that is up to you and your business process. Discovering what a duplicate is NOT is just as important as what IS a duplicate. Please call me for free estimates. There are no "planning" line items in my quote. These experiences have given me a diverse set of skills that I can put to work for you, including data configuration, data migration, data scrubbing, and data cleansing. Let me help you turn your "data" into valuable business information! Data migration from Goldmine, Act, Access, home-grown systems, etc. into salesforce.com. "I have asked Theresa DeRycke to respect my confidentiality and submit this recommendation anonymously. Theresa was more than willing to accommodate. Inviting someone into your Salesforce organization is an intimate process, it requires you to be vulnerable and trusting, in many ways it is more intimate than inviting someone in your living room. It was paramount that the person who works with our data is someone we know without a doubt would act with the diligence and caution in our environment. Theresa is that person, I never once doubted her prudence to keep our data secure. 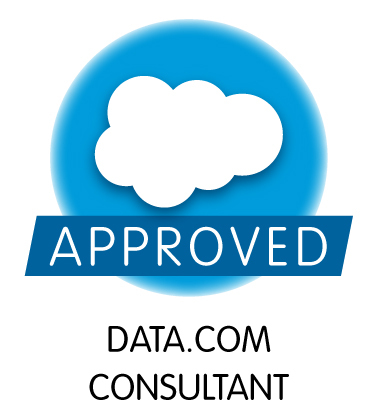 Her competency and experience, speak for itself, but the above is what you truly want in a data consultant."